Based on the demand from one of our recent clients, the Funding Exchange, we decided to polish up and release a plugin we found lacking around the Internet: our Simple Authorize Payments WordPress plugin. In just a few short minutes, our plugin offers a bolt-on solution to accept donations/contributions, including recurring billing, using Authorize.net, one of the most trusted and reliable names in online merchant solutions. 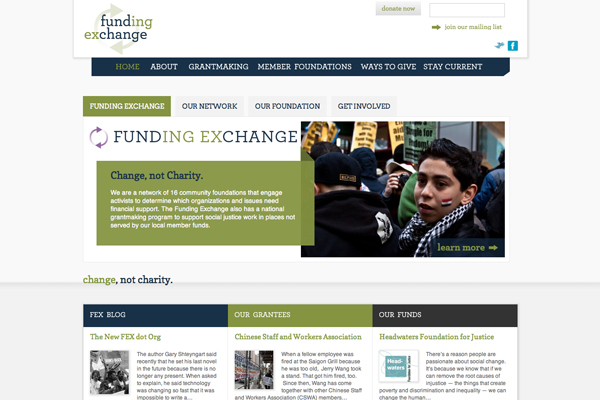 Social Ink is pleased to announce the launch of www.fex.org, a nonprofit organization provinding a “network of community foundations that engage activists to determine which organizations and issues need financial support.” Social Ink designed a new logo and branding guidelines and developed the CMS-powered website, featuring capabilities to apply for grants; targeted giving for donors, a newsletter and mailing list integration; a blog with guest contributors. Callahan and Nannini website launches! 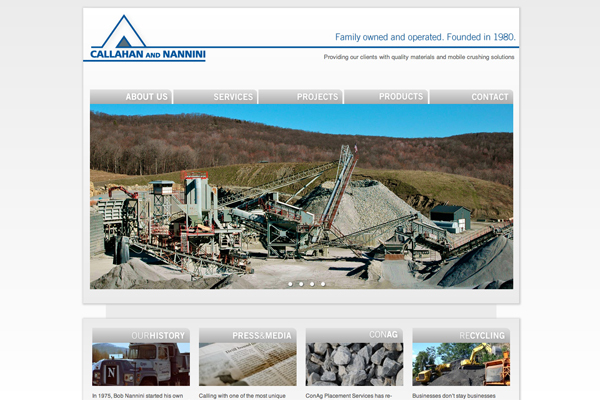 We’re thrilled to announce the launch of a family-owened small business in the greater New York Region: Callahan and Nannini Quarry. This shale and limestone quarry has an excellent recycling program and follow strict regulations for sustainable extraction practices. Check out their new site or read more about the project on our portfolio. Print Fresh Studio website launches! We’re excited to announce the relaunch of PRINTFRESH STUDIOS, a Philadelphia-based textile design shop. Site was designed by Social Ink collaborative partner Paperwhite Studio. For more, see our portfolio entry.